So what is the nature of philosophy? What is it’s essential defining characteristic? What is that which makes it philosophy and not sociology, psychology, history or even physics, or mathematics? This essay argues that objects of the world such as the ones just listed are made up of contradictory elements or characteristics., they are in effect coincidentia oppositoriums. To characterise something completely is to document it’s contradictory elements. The problem of life is that one element of an objects complexity is focused upon and this element is seen to characterise the object. In other words an objects nature is a product of the perspective, interpretation or hermeneutics of the observer. A complete characterisation involves the amalgamating of the totality of perspective through which it is viewed. 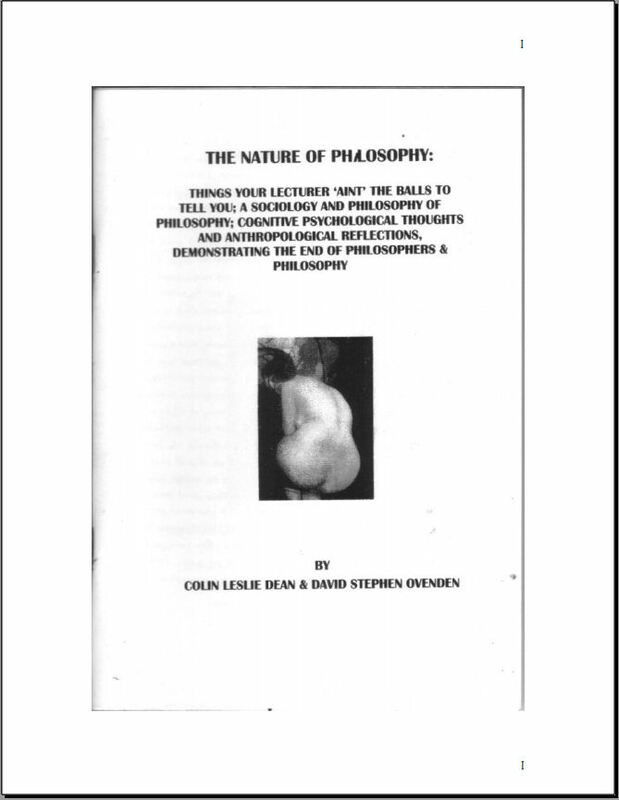 So what is the nature of philosophy ?